I’ve spent numerous hours this summer working with my own non-profit while joining forces with mounds of other great companies to help students and teachers acquire school supplies and classroom equipment. Statistics show that teachers spend no less than $500 out of their own paycheck each school year on classroom supplies. The truth from a former school teacher is probably close to double that. Just ask any teacher, you’ll get a laundry list of items in their room that belong to them personally. Factor in the list of school supplies that parents are given each year for their kids to start to the new school year and the cost of a free public education is astronomical. The words “free public education” is simply nonexistent in today’s society. So, what can you do to help? 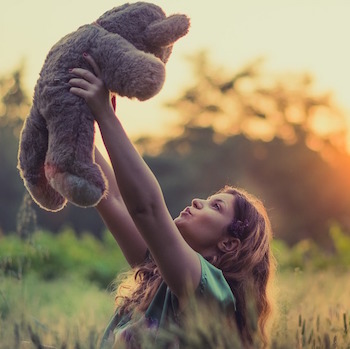 "Your graciousness will be reward and you too will find more time to be with your own child. " If you are like me, you see those fund raising envelopes come barreling home each year and you roll your eyes in disgust. Don’t get me wrong, the good people who volunteer their time in the name of PTA and PTO have their eyes on the prize. These organizations spend more and more time each year helping the schools obtain the necessary equipment to make the school a success. The PTO and my own children’s school recently help build a gym and then just two years later, they helped build office space in that same gym. There is a place for these organizations in our schools, but they don’t have to be overbearing. So, I ask again, what can you do to help? Here’s just a few ways that you can jump in the mix. 1. The number one goal for each and every parent should be to be a vital part of their child’s education. If you, like many, work a 9 to 5 job and can’t be at the school to volunteer for reading time or working a particular fund raiser such as the fall festival, don’t get down on yourself. Being part of your child’s day, each and every day, is more important than any mission you will ever accomplish. It is paramount that as parents, we find a way to sit down with our kids and ask pertinent questions like, “what did you learn in social studies today?”, and “what did you have for lunch?”, “what is your favorite story, or who your favorite author is?” Money may make the world go ‘round in many ways and volunteering your time may seem like the right thing to do, but in reality, talking to your kid, spending quality time with him/her is way more important than anything else you can do. 2. If you have the opportunity to visit your child’s school, go eat lunch with them every now and again. See what’s being put on the tray before them. I ate lunch with my kids a couple of weeks ago; the rolls on their plate were really bad. Without thinking, I looked over at the teachers sitting nearby and said, “This is the exact same recipe for rolls that was served in the lunch room when I was in school more than 30 years ago. Surely they have found a better recipe after all this time”. I vowed them to find my kids lunches that they can take from home any time they ask. Go, see what’s going on during physical education class. Join in as they train to take the Presidential Physical Fitness Test and watch as your child’s score soar. Those scores can turn into recognition at the end of the school year and your child will know that you were there the whole way, helping them achieve that goal. 3. If you have some free time but don’t feel that being in the classroom is your forte’, ask the teacher if he/she needs you to make copies, decorate a bulletin board, staple papers, or maybe laminate and cut out work. That few minutes that you spare that teacher could mean the difference in them catching their own child’s after school sporting event, music lesson or something that allows them to be a parent. Your graciousness will be reward and you too will find more time to be with your own child. 4. Look for ways to help your teacher get equipment for their classroom. Many systems haven’t even given their teachers money to purchase copy paper and if they take the time to put projects up on a site like Donors Choose, then maybe you can spare $10 a month to donate to their cause. 5. Look for ways to support areas that have come on hard times. Right now, KaBOOM! 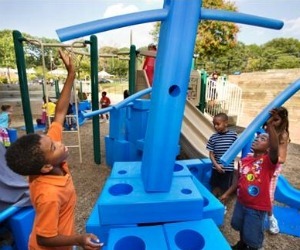 is helping Phil Campbell Elementary School build an Imagination Playground. You can visit the site and donate what fits your own budget. The experienced extreme destruction after tornadoes hit their community last April. If you can help but donating a few dollars or helping construct a playground, teachers, students and the neighboring communities will all recognize your help. 6. Donate to Educate My Alabama and join our continued support of students who need school supplies. This summer we gave over $10,000 in school supplies to students over three school districts. You can jump in and join the fun by donating as little or as much as you would like. These are just a few of the ways you can help physically in your own home, at your own school or over all for schools nationwide. Don’t hesitate, just find the way that suits you best and pat yourself on the back for being a vital part of your child’s education and that of all the children of our future.